Enjoying good growth in your garden means continual work and dedication. Occasionally you need to cultivate the soil with a tiller or cultivator to achieve the results you are striving for - whether it's a lush home garden, or thriving field of crops. 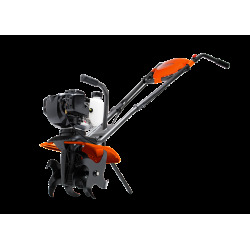 Using manual tools can be backbreaking, but with petrol tillers and petrol cultivators from Husqvarna, you get the job done with minimal effort. Our range comprises two different models - rear-tine and front-tine. The rear-tine petrol tiller and cultivator models are designed for use on densely packed earth and lawns. 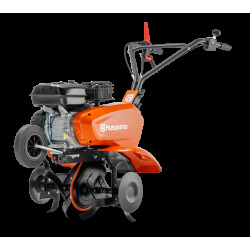 The front-tine tillers and cultivators are suitable for smaller landscaping work, such as preparing flowerbeds and garden patches.